UPDATE: A FATHER and son remain in Bundaberg Hospital under police guard following a shooting incident at Woodgate. A crime scene had been established at a Jarretts Rd address and yesterday a 69-year-old man remained in a critical but stable condition. 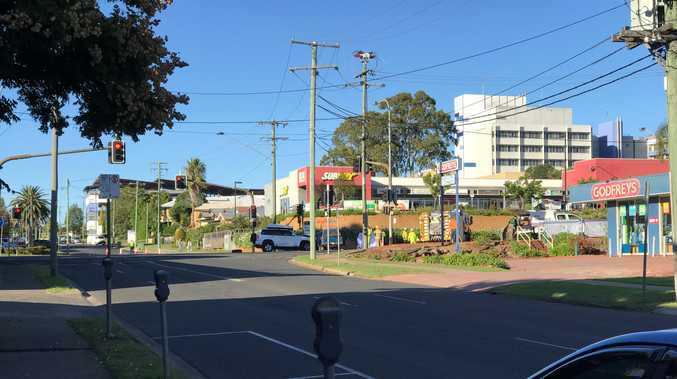 Bundaberg Criminal Investigation Branch Detective Acting Senior Sergeant Glenn Cameron said police responded after the 69-year-old man arrived at the Bundaberg Hospital emergency room in the early hours of yesterday morning. "Police are investigating a shooting incident that occurred at Woodgate," he said. "At approximately 3am a 69-year-old man has presented at the Bundaberg Hospital with gun shot wounds." The man was not brought in by Ambulance. "On route to Woodgate to investigate, police have further located a 30-year-old male who has injuries to his hands," Det Snr Sgt Camerson said. The 30-year-old was then taken to hospital by Ambulance. There are reports there was a young child in the car when it was stopped by police. "Both these males are currently in the Bundaberg Base Hospital receiving treatment and it is a police ongoing investigation," he said. "Both males are in hospital under police guard and they're receiving treatment for their injuries, but it is still ongoing," Det Snr Sgt said. "It's still too early in the investigation to determine who else is involved." Jarretts Rd resident Glen Gotz said there were only a handful of houses in the street but he didn't hear anything to indicate what had happened. "It's a very quiet area, it a very nice area," he said. "I've never known there to be anything of this sort of nature before." Mr Gotz said he was aware who lived at the address but didn't have much to do with them. "We only spoke a couple of times, but you never know what goes on behind the scene," he said. Det Snr Sgt said police were still trying to piece together what had occurred at the Woodgate address. "It's too early to determine the exact cause," he said. Det Snr Sgt Cameron said police were processing the crime scene at the property but would not reveal if any weapons had been located. "The police haven't fully processed the scene at the moment," he said. "At this stage were not exactly sure what caused the injuries." A Bundaberg Hospital spokesperson confirmed two people had received treatment yesterday. "A 69-year-old man presented to the Bundaberg Hospital emergency department at 2.54am with a gun shot wound to the left side of the torso," he said. "At 6.01am, a 30-year-old man presented to the Bundaberg Hospital emergency with a gun shot wound to his hand." Anyone with information should contact Crime Stoppers anonymously via 1800 333 000 or online at www.crimestoppers.com.au 24 hours a day. EARLIER: A 69-year-old man remains in a critical but stable condition in Bundaberg Hospital after under going treatment for a gunshot wound to the torso. A 30-year-old man is currently in undergoing surgery for a gunshot wound to his hand. EARLIER: Bundaberg detectives are investigating an alleged shooting incident that occurred at Woodgate early this morning. At around 3am, a 69-year-old man attended hospital with what appeared to be a gunshot wound. Police were notified and proceeded to a Woodgate address. On route, police located a 30-year-old man who had injuries to his hand. Both men are currently receiving medical treatment at Bundaberg Hospital and under police guard. A crime scene has been established at the Jarretts Road residence. Police are appealing for any members of the public who may have heard or seen anything, or have any knowledge of what occurred to contact Bundaberg police or Crime Stoppers. EARLIER: Two people have been injured in an early morning shooting incident near Childers. A man was taken to Bundaberg Hospital by ambulance, while another person presented at the hospital for treatment. A Bundaberg Hospital spokesperson confirmed two people had received treatment.